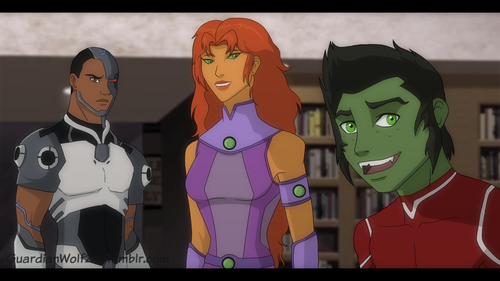 guardianwolf216: Cyborg and Starfire with Beast Boy. guardianwolf216 made a fan-made scene where Starfire and Cyborg come in and help with the invasion. Wallpaper and background images in the Justicia Joven club tagged: young justice guardianwolf216 beast boy cyborg.